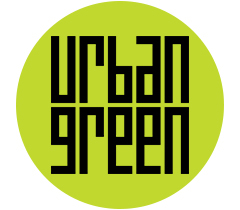 Interested in getting more involved with Urban Green? We look forward to seeing you tonight for a celebration of leadership in green building over gourmet dinner and drinks at our biggest event of the year. Focused on the the Facility Managers’ perspective, this session will discuss best practices for maintaining high-performance buildings. 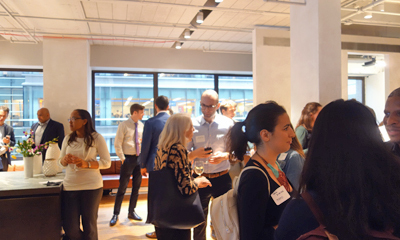 Join us at our members-only Holiday Member Reception to hear what's coming up for Urban Green Council and vote on our 2019 Board of Directors! 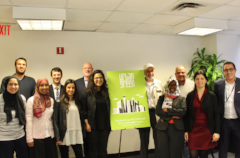 Last week, at the request of the U.S. Department of State, Urban Green hosted a delegation of building professionals and development officials from Algeria, Bahrain, Egypt, Iraq, Israel, Kuwait and Sudan. "International delegations are looking to learn from our work in NYC because it has global relevance,” said John Mandyck, CEO of Urban Green. “Not only is our work needed to achieve NYC's climate goals, it can influence how the world advances more sustainably." The representatives were visiting to research strategies for resiliency and sustainable buildings; they were particularly interested in adapting Urban Green’s Building Resiliency Task Force and Blueprint for Efficiency. Congratulations to Urban Green's Senior Policy Advisor, Laurie Kerr, who received a Leadership Award from USGBC. Given annually, the USGBC Leadership Awards recognize innovators in the green building movement—which Laurie certainly is! Laurie previously served as our Policy Director and was on the board of Urban Green for six years during her time at the Mayor’s Office of Long-Term Planning and Sustainability, where she co-chaired the Programs and Education committee. On November 27, we're taking a look at high-performance buildings from the Facilities Managers' perspective. 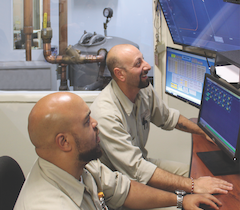 Join us at Syska Hennessy as we discuss how maintenance teams can balance the requirements of end-users with building efficiency. This session will demonstrate examples of system inefficiencies and explore solutions that can be implemented during the planning, design and turnover processes. With 5 days of in-class instruction, this course is designed to teach the international Passive House Standard to architects, MEP and structural engineers, builders and construction managers. Participants will develop a thorough knowledge of Passive House design and construction and, on passing the exam, will receive a five-year registration as an internationally accredited Certified Passive House Designer or Consultant.